(Pittsburg,CA) – The time has come and the solution to the age old mornin question of, “what beer should I drink today?” is now solved. 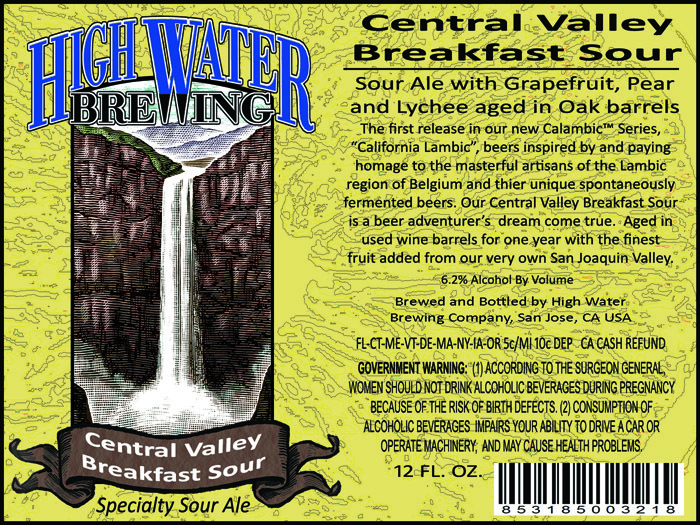 High Water Brewing is proud to release our Central Valley Breakfast Sour. Primary fermentation with Brettanomyces and barrel aged for one year in used wine barrels with Lactobacillus. Available in 12oz bottles and 5 gal kegs now!